HEAR HANS ZIMMER’S GREATEST HITS AS YOU’VE NEVER HEARD THEM BEFORE! 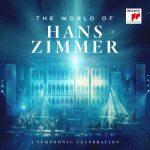 Sony Classical will release THE WORLD OF HANS ZIMMER – A SYMPHONIC CELEBRATION on March 15, 2019. The album includes all-new arrangements from the composer of some of his greatest hits (The Dark Knight, The Da Vinci Code, Lion King, Pirates of the Caribbean and more), newly-transformed into electrifying concert suites for orchestra, choir and an impressive list of soloists. 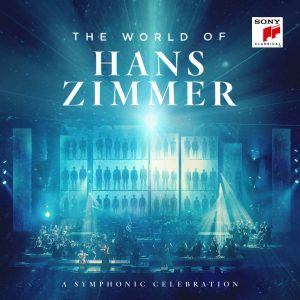 It is the first recording of music from the Zimmer-curated ‘World of Hans Zimmer’ international concert tour by Semmel Concerts. Each concert suite features the most recognisable parts and melodies of a film score in the cohesive form of a new symphonic work. A band of famous soloists and singers adds to the excitingly new listening experience. Amongst these accomplished musicians are several of Zimmer’s long-time musical collaborators such as Gavin Greenaway (musical director), Lisa Gerrard, multi-instrumentalist Pedro Eustache, and renowned opera singer Valentina Nafornita.